You can stream the big hits of the 2017 Sundance Film Festival right now, before the Australian film festivals kick into gear. Once, it would be a long wait to hear if any Sundance hits had made the festival cut. American indies are a mainstay of film festivals in Australia because they draw crowds and switch people on to the wider scope of a festival program. As the film industry deals with the changing viewing habits of audiences, so too are Australian film festivals. Local festivals are slowly losing access to films that were once guaranteed to be ‘sold out’ due to the aggressive buying tactics of the major streaming services: Netflix and Amazon. As these films disappear, Australian film festivals face the creative challenge of programming to audiences who have every excuse to stay at home. The streaming giants don’t like to share their films with festivals unless they’re premieres, and Australia rarely gets a shot at those. Shifts in how we engage with technology accelerate cultural change and Australian film festivals are now facing the might of streaming services nudging in on their turf. Is this shift suffocating local film festivals? Or are we entering a new age in which festivals will revitalise cinema when many naysayers are proclaiming its demise? What are the streamers buying? The 2017 budget for streaming giant Netflix is a reminder of their might: $US 6 billion. Close behind is Amazon, spending $3 billion in 2016, which they’re expected to triple this year. But what are they buying? Aside from their crop of original television series, they’re producing and buying films for distribution to their subscribers—and they’ve got a taste for indies. At Sundance 2017, Amazon inflamed the bidding war for The Big Sick, a comedy based on the lives of writers Kumail Nanjiani and Emily Gordon that buzzed with positive word of mouth following the premiere. Amazon bought The Big Sick for $12 million. The major difference between Amazon and Netflix is that Amazon partners with cinema distributors to ensure the films it invests in get theatrical releases. Amazon has collaborated with Lionsgate to distribute The Big Sick in America, while Roadshow will handle the roll-out in Australia. Netflix releases its films exclusively to subscribers globally on the same day. 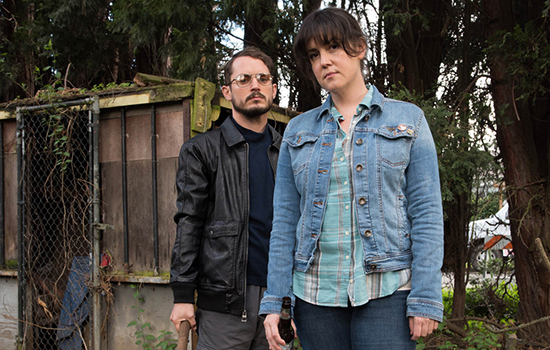 I Don’t Feel at Home in this World Anymore premiered at Sundance in January and was released globally a month later. Netflix does give its films a cinema run in America thanks to a deal with iPic Entertainment, a small chain with 15 cinemas. Under the deal, iPic shows 10 Netflix movies on the same day as their online releases. Audiences who turn out to see these films in a cinema are small, but the deal allows the company to qualify its titles for the Academy Awards. To date, Netflix has netted seven Oscar nominations and won its first this year for the short documentary White Helmets. A deal in Australia has yet to be struck to put Netflix films in cinemas. In the past in Australia, there would be a wait to see the Grand Jury prize-winner from Sundance at a major film festival. Sydney Film Festival (SFF) and Melbourne International Film Festival (MIFF) are fed with the films from prestigious international film festivals. The wait time is getting shorter, and in some cases, completely bypassing festivals. What does this mean for Australian film festivals? American indies are still a staple of film festival programming in Australia. These films are a major lure for crowds because they’re an easy sell compared with an eight-hour Romanian black and white film. They sit in the eye of the zeitgeist because people must see these films to have a stake in the conversation; plus, there’s the ‘see for yourself’ factor around any major award winner out of any festival. SFF often nets the Palme d’Or winner from the Cannes Film Festival, for instance Amour in 2012 and Winter Sleep in 2014. SFF has developed a reputation for being able to fast-track films from the French Riviera to Australia because they pull crowds, and Sundance has the same power. Streaming services are sucking these titles out of festival consideration because they want subscribers to see these films for the first time at home; it’s what subscribers are paying for. In recent years, competition to secure American indies has been tight and it looks likely to dry up if the streaming buying power isn’t going away. From Sundance 2017 Amazon paid $6 million for a Grateful Dead documentary, $3 million for a comedy called Landline and $2 million for a documentary about the terrorist group ISIS called City of Ghosts. Netflix bought the international rights for Australian filmmaker Cate Shortland’s Berlin Syndrome and two documentaries: Casting JonBenet and Chasing Coral. The service also bought the rights to a documentary titled Joshua: Teenager vs Superpower, about a Hong Kong college student who helped inspire a 79-day protest that shut down the city’s financial district in 2014. 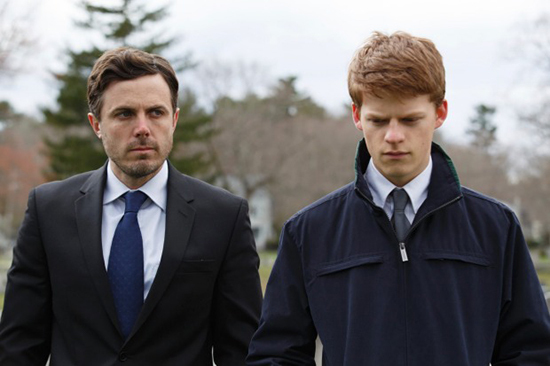 In 2016, Amazon paid big to secure the rights to Manchester by the Sea after it played Sundance and kept it locked away all year, avoiding all Australian film festivals and rolling it out for awards season where it became the first film funded by a streaming service to win multiple Oscars. In Australia the release window is also shortening for when a film plays a festival and when it’s general release. SFF just released the first-look titles for their 2017 program and one of the big-ticket items is David Lowery’s A Ghost Story, which premiered at Sundance this year and was snapped up by Madman for distribution in Australia. Hours after A Ghost Story was announced as part of the SFF program, Madman dated it for a general release: 13 July, one month after SFF ends. Unless you’re the kind of person who has to be the first to see it, A Ghost Story can be skipped in favour of something not slated for release in the next month, if at all. Of course, there are exceptions: Kelly Reichardt’s Certain Women played SFF in 2016 and failed to get a distributor despite critical acclaim, good word of mouth and an outstanding cast—Kristen Stewart, Laura Dern and Michelle Williams. 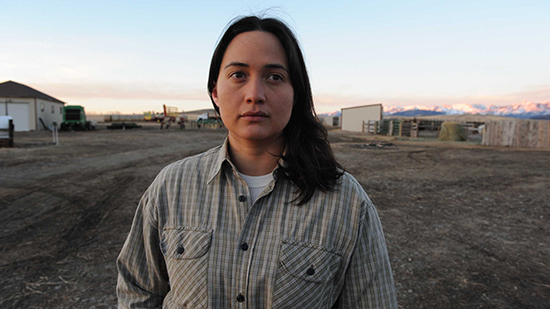 The Australian Centre of Moving Image in Melbourne and Golden Age Cinema in Sydney have announced they will screen Certain Women for a limited season in mid-April 2017. MIFF’s Michelle Carey: What challenge? Streaming services like Netflix and Amazon operate like Hollywood studios when it comes to producing and buying power. A film can be made independently but once a million-dollar cheque is signed, it becomes part of the system. Joe Swanberg, one of the princes of indie filmmaking and a one-time special guest of MIFF, will have his new film, Win It All, released by Netflix in April. A new wave of independent filmmakers—who are discrete from the system—are rising in the ranks and their playgrounds continue to be film festivals. But just how much of a draw are American indies anyway? What thrives in the face of the challenges film festivals face against the streaming giants is an unrivalled passion for cinema.